Hollywood News Source attended Walker Stalker Con London, a celebration of all things Walking Dead, and covered a number of panels. Riggs played Carl Grimes, Rick’s son for over 100 episodes before leaving the show while Fleming plays Judith Grimes. 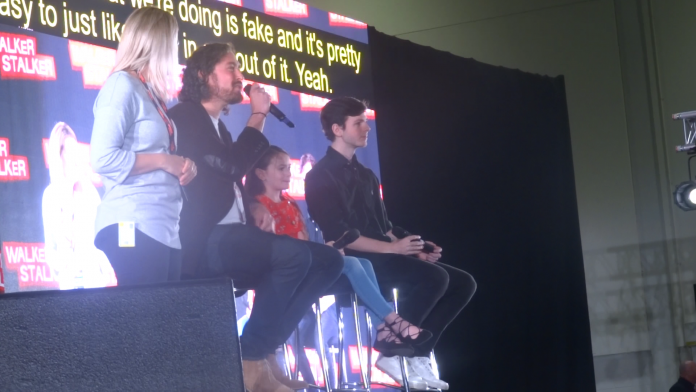 During the panel fans were eager to get Chandler’s thoughts on the show since his departure and his take on some of the new cast. Check out more of our coverage of recent conventions by checking out our YouTube page.